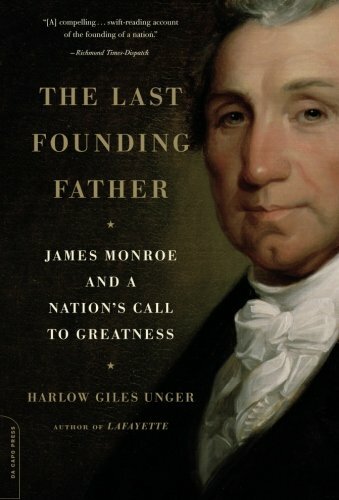 James Monroe was one of the few Founding Fathers (and people in general) who achieved the office of President of the United States of America. Because of his high title, much has been studied about him. In an effort to keep from making this article too lengthy, I have highlighted what I believe to be the 7 most important events in his life. While was still a teenager, James Monroe volunteered for service in the Continental Army. Due to his ability to read, he was name a Lieutenant, placing him as the second on command of a Company. After spending time in the Virginian militia and working for Governor Thomas Jefferson, Monroe was elected to the Continental Congress. The war soon concluded and James was chosen as a delegate to the Virginia Ratification Convention. Monroe voted against ratification, making him the only future President who did not support the Constitution. Two years after voting against the federal government, Monroe became a member of it. One of Virginia's Senators passed away and James was chosen as his replacement. Soon after, Washington selected Monroe as ambassador to France in the hopes of maintaining good relations. Unfortunately, the Jay Treaty was soon signed with Great Britain to the dismay of both Monroe and France. Monroe returned home feeling slighted by Washington's decision to side with Britain over France. Within three years, however, James was voted in as Governor of Virginia. James Monroe was now the most powerful person in the most powerful State. He used his influence to assist Jefferson in winning the Presidential election of 1800. This also put him in position (along with James Madison) to be on the short list as the next President. After his term as Governor ended, Monroe was sent by President Jefferson back to Europe. Here he worked with Robert Livingston to secure New Orleans from the French. In the end, the two Americans were able to purchase all of the mid-western United States. Upon his return home, many supported Monroe as the next President. Instead, he declined to run against his old friend James Madison who easily won the election. As the threat of another war with Great Britain loomed, Madison appointed Monroe as Secretary of State. The hope was Monroe's popularity would unite the American people. Monroe had already sent John Quincy Adams to negotiate peace when the United States began losing the war. After Washington DC was burned, Madison gave Monroe the additional role of Secretary of War. Within six months the war had been won. After Madison's retirement, Monroe easily won election as his replacement. The Federalist Party had all but died out and Americans began to feel a wave of prosperity. This time became known as the 'Era of Good Feelings.’ Monroe was swept into office during his second term, the only person other than George Washington to run for President unopposed. Obviously, this article could have gone on and on and on. One does not just become President of the United States. Monroe played a large, but little known, role in the American Founding. I highly recommend you read 'The Last Founding Father' to learn of all the twists and turns in his life. The link below goes through our affiliate Amazon. If you have not subscribed to our email list I suggest you do so now. Also, since we are now active on Twitter, I suggest you follow us there.